This is a delightful story about a young boy and girl whose father has gone on a pilgrimage to the Great Mosque in Mecca. 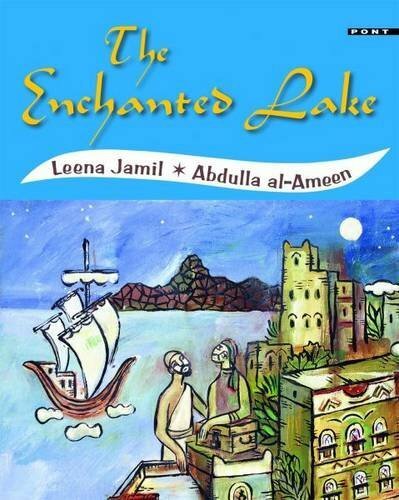 While the father is away, the boy falls under the spell of the magic of the enchanted lake by drinking its water and instantly turning into a gazelle. He is only finally returned to human form by his sister’s kind act of rescuing an injured bird who tells them about another enchanted world: the Sea of Radiance. This is a traditional folktale aimed at linking children across the world. The illustrations are very colourful and bright, depicting the architecture and atmosphere of Yemen where the story is set. The text also provides useful information regarding Yemen for general class discussions. The book is published in Welsh as well as English and is produced with the cooperation of the British-Yemeni Society in Wales. A note explains the historical reasons for the link between Cardiff and Aden.